Gases are all around us, from the mixture of components that constitutes the air we breathe to industrial pumps. Therefore, it is important to understand a few fundamental laws that govern the behavior of this ubiquitous state of matter. Hot Air Balloons are a perfect example of the everyday applications of gas laws. Hot air balloons are one of the many fantastical ways humans have taken advantage of the properties of gases. These thrilling transportation devices were first invented by the Montgolfier brothers in 1782, and are the oldest successful human flight machines. They remain one of the most sensational ways to fly today. 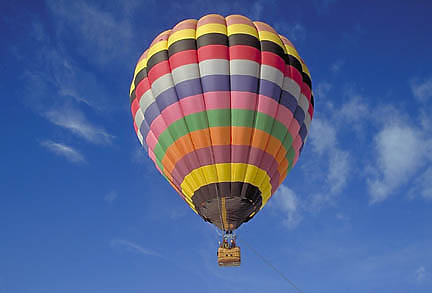 The hot air balloon operates on the principle of Charles's Law, which states that the volume of a gas increases with temperature. As the air in the balloon is heated by a small flame, the balloon expands, becoming less dense than the surrounding cool air. The balloon thus rises.